With decades of experience, we know how to get your party started and keep it going all night long. 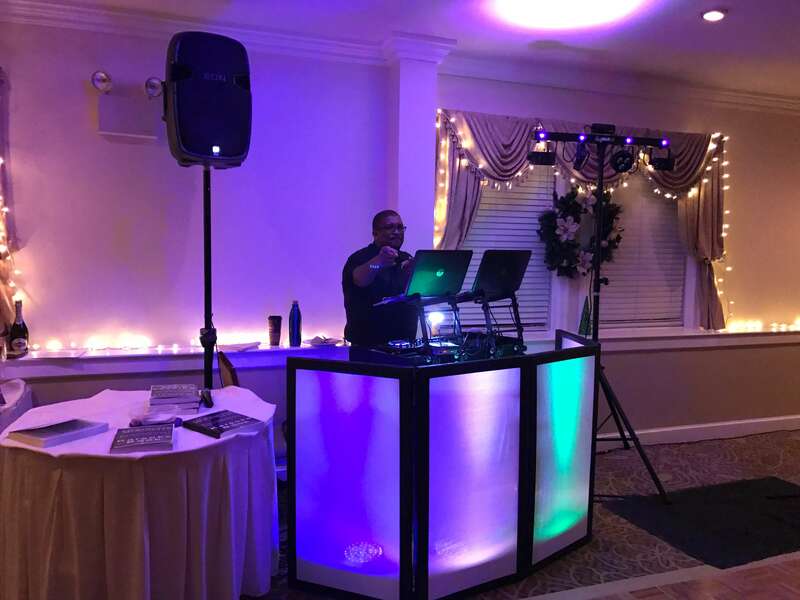 Our DJ will focus on the hits while the MC entertains your crowd. We provide more than a push play and begin attitude. Our DJs adjust their playlist to tend to your crowd's wants and expectations. Request any song that you want to hear, we can play it, we guarantee it! We have experience working with many venues through the Main Line and Philadelphia area. We also provide the up lighting, customized to compliment your event’s theme colors!